The first books that got me into Science Fiction were Isaac Asimov's Foundation series. It was the mystery and its scope in all its galactic grandeur that captivated me, and of course how expertly Asimov let it unfold across the trilogy, so that finally we understood the grand plan. Another grand-master, Arthur C Clarke went one step further with his Rama series, because we never get to fully understand what the aliens want and why their vessels are traversing our solar system. 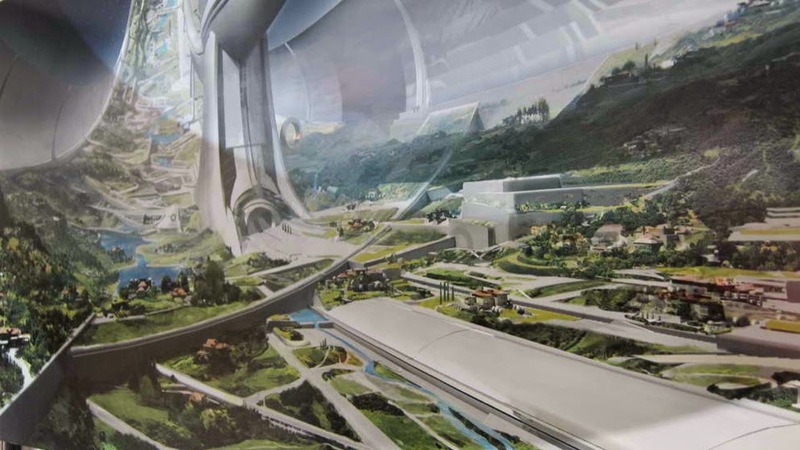 I'm waiting to see the film version (Rendezvous with Rama). This is one of the few series I plan to read again from start to (non)finish. More recent, Stephen Baxter's Timelike Infinity is masterful at leaving a healthy dose of enigma in our minds about the aliens controlling the wormhole, perhaps inspiring films like Interstellar where, again, as lowly humans, we don't fully grasp the methods and aims of multi-dimensional beings (how could we?). spectacular effect, and many scifi films now go for it given the power of computer generated graphics (remember the floating islands in Avatar?). Second, the wonder can be enigmatic, plausible but never fully resolved, so that we are left to wonder. 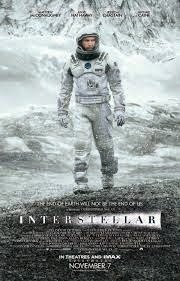 This possibly works best in books, though Interstellar did a reasonable job of it (in my humble opinion! ), though the quintessential film for this type of wonder is Stanley Kubrick's 2001: A Space Odyssey. The Hohash are something else. They are machines, of a sort. Imagine a smartphone allowed to evolve for a billion years, and you might have a Hohash. At first they seem to be mechanical artifacts, but by the second book it is clear they have their own volition, and their own agenda. Another science fiction writer, Gary Gibson, told me the Hohash were the most interesting aspect of the series. 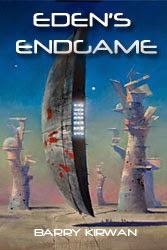 A recent review of Eden's Endgame prompted me to write this blog. Sometimes reviews strike an author, because they show an author his or her work from a different perspective, and sometimes it can be illuminating. I'd never before thought of the Hohash in terms of Lewis Carroll's Alice in Wonderland, for example, but now I find I can't deny its influence, nor that of Kubrick's masterpiece. But it also reminded me of the type of Scifi I like to read, books that leave me with a lingering question, that stretches my own mind. I like enigmas... If any readers out there have their favorites of this 'second type of wonder', do let me know. Thanks to M.E. Gallagher for the review below, which I've left in its entirety. 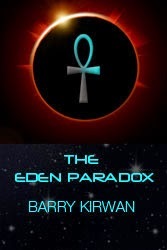 Kirwan populated the Eden series with unique beings, from dog-like Ossyrian physicians to gentle reptilian Rangers. My two favorites figure large in Eden’s Endgame: The giant spiders are spindly as tripods, yet cuddly as koala bears - Blake once joked that they “looked like walking charcoaled hamburgers.” We see the spiders’ tale unfold from benign, mute life-form to major player. Seldom have arachnids enjoyed such good press. At the opposite end of the “Warm & Fuzzy” category, Kirwan gives us the Hohash. This isn’t the first time we’ve met these flat, mirror-like creatures – but in Endgame, the mysterious Hohash also turn hero. 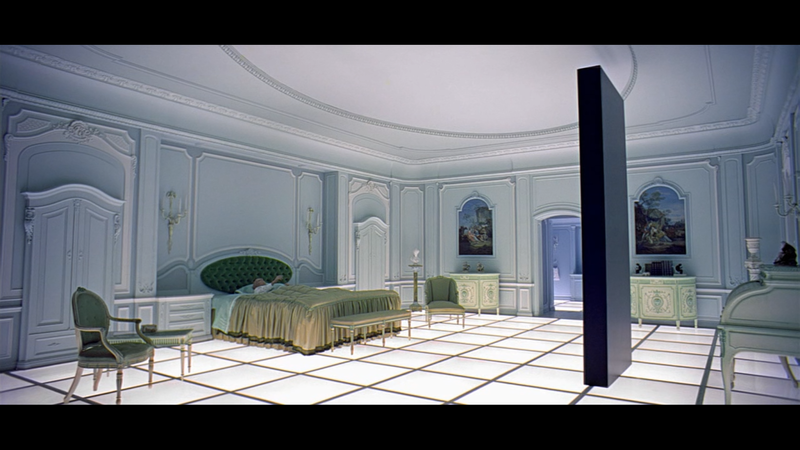 Part Lewis Carroll’s “Through the Looking-Glass,” part Thomas Hutchinson’s 1946 "Here is Television: Your Window to the World", and part the powerful monolith of "2001: A Space Odyssey", the Hohash embodies Stanley Kubrick’s statement in his 1968 New York Time’s interview. 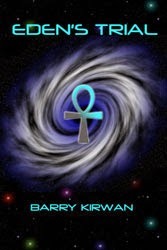 Barry Kirwan’s Eden’s Endgame is a rip-roaring adventure that helps us imagine that jump into the future. I give it five stars.